Cut fruit into chunks and place them in the top of a double boiler. Place water in the bottom of the double boiler and bring it to a boil. Cover and steam the fruit for 15 or 20 minutes or until it is soft and a thermometer placed in the fruit mixture registers 160 F.
Place the cooked fruit in a blender. Add ½ teaspoon of ascorbic acid crystals or 2 tablespoons of lemon juice per 2 cups of fruit. If desired, add 1 to 2 tablespoons of honey, corn syrup or sugar per 2 cups of fruit. You also may add a small amount of spice (¼ teaspoon of cinnamon or a dash of nutmeg) per 2 cups of puree. 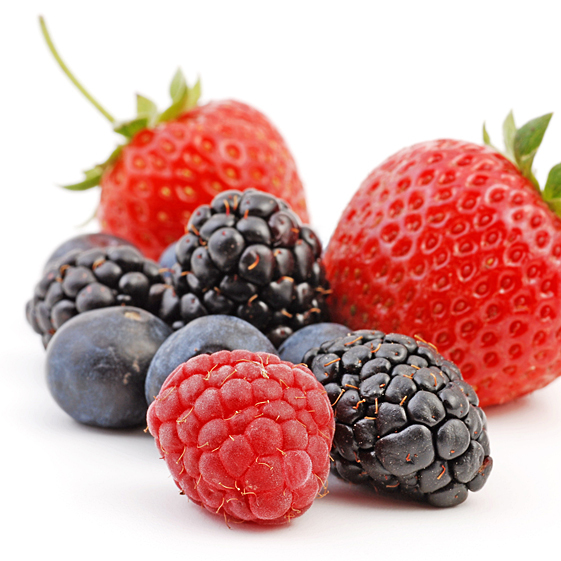 If you prefer, you can use canned fruit or strained baby fruit (without tapioca) instead of the cooked fresh fruit. Because canned fruits already are heat-processed, any bacteria have been destroyed. Canned applesauce and strained baby fruit will not need to be pureed. Other canned fruit will need to be drained and pureed in a blender. Most fruit or combinations of fruits can be used to make fruit leathers. Canned fruits can be mixed with pretreated fresh fruits. However, grapefruit and lemons are not recommended because they become bitter when dried. Drying is not a precise method of food preservation, and the amount of drying time will vary depending on the equipment, moisture content of the fruit leather and the humidity in the air. Spray a cookie sheet or similar flat tray with vegetable spray, or line the tray with plastic wrap or parchment paper and spray with vegetable spray. Another option is to use the specially designed plastic sheets for electric dehydrators and follow the manufacturer’s directions. Be sure the tray has edges so the puree will not spill, and be sure the dimensions of the trays are about 2 inches smaller than the dimensions of the oven to allow for good air circulation. Spread puree evenly onto the drying tray, about c to ¼ inch thick. A 12-inch by 17-inch cookie sheet holds about 2 cups of puree. Fruit leather may be dried in an oven or food dehydrator. To test your oven, set it to the lowest setting. Place an oven-safe thermometer on the rack where food will be placed. Leave the oven door open 2 to 6 inches. Place a fan near the open door to circulate air. Check the temperature. If your oven can maintain a low enough temperature (140 to 145 F), it may be used for food dehydration. Racks should be 2 inches apart, with at least 3 inches of clearance from the top or bottom to the rack. Turn and rotate the pans every one to two hours. Oven drying time will range from four to 10 hours. Note: Oven drying is not a safe procedure to follow if young children or pets are present. You can be creative in your fruit choices for making fruit leather. These are a few ideas provided by the Alaska Cooperative Extension Service. Use 4 cups of rinsed raspberries to make about 2 cups of puree. Add 2 tablespoons of honey. Prepare and dry as described. Use 1 cup of rhubarb puree and 1 cup of strawberry puree. Add 2 tablespoons of honey (or to taste) and combine thoroughly. Use less added sweetener if you use presweetened strawberries. Prepare and dry as described. Use 1 cup of blueberry puree and 1 cup of unsweetened applesauce. Add 2 tablespoons of honey (or to taste) and combine thoroughly. Prepare and dry as described. Be sure the fruit has dried sufficiently or it will become moldy during storage. Properly dried fruit leather will be slightly tacky to the touch, but it should peel easily from the plastic wrap or tray. Fruit leather dries from the edges toward the center. Test for dryness by touching the leather in several places; no indentations should be evident. Lift the edge of the leather, which will adhere tightly to the surface, and peel it back about an inch. If it peels readily, it is properly dried. If the leather has cooled, it may be warmed in an oven at 150 F for a few minutes to help it peel away more easily. If the leather cracks or chips, it has dried too long, but it still is edible. After loosening the edge of the leather from the plastic wrap or pan, loosely roll the leather in plastic wrap or waxed paper in one piece. Store the roll in one piece or cut it into strips. Place the strips or rolls of leather in a plastic bag, glass container, paper bag or other container. Until the leather is completely dry, the container lid should not be tightened nor the bag opening twisted tightly. If the leather has not dried completely, it may become sticky or develop mold growth during airtight storage. Store fruit leather in a cool, dry, dark place. It will retain good quality for up to one year in the freezer, several months in the refrigerator or one to two months at room temperature. Fruit leathers can be eaten as snacks or used in pie fillings, in cooking and as a dessert topping. They can be made into a beverage by combining five parts water with one part leather in a food blender. P. Kendall and J. Sofos. 2007. Leathers and Jerkies. Colorado State University Extension. S. Koukel, 2009. Fruit Leather. University of Alaska-Fairbanks Cooperative Extension.